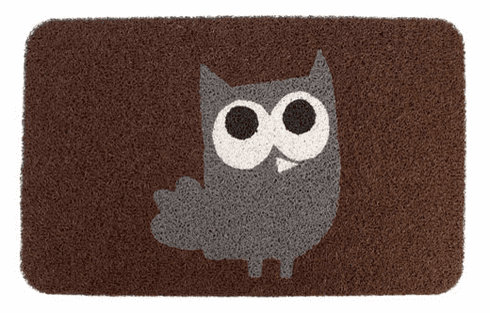 This whimsical owl floor mat is a real hoot! Great for outdoor or indoor use, the doormat has a unique coil construction that provides a soft step while trapping dirt. 100% vinyl. Measures 18 x 30. Shake clean or rinse with water.